Great Falls Historical Society - Milburn P. Sanders' "A Brief History of Great Falls"
Probably the first settlers of Great Falls were the early Americans who are mentioned in archeology reports. 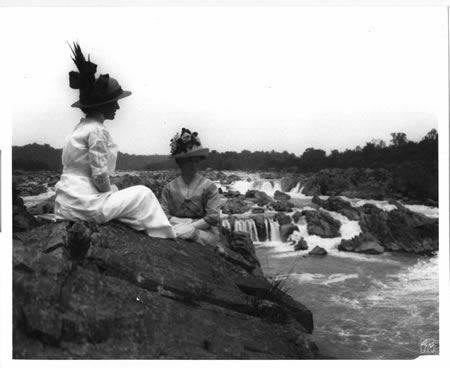 By 1990 the Fairfax County Archeologist had identified 100 sites, believed to be early American, in Great Falls. The oldest of these is considered to be about 9,000 years old, others about 3,000 years old. No evidence of Native American permanent residence in Great Falls is known to exist. The nearest villages were opposite Washington, D.C., and in the Mount Vernon area. With the first Virginia settlement in Jamestown in 1607, the English became Virginia landowners. In 1649, Charles II gave the Northern Neck (the land between the Potomac and Rappahannock rivers) to several of his friends. That land soon became the property of Thomas, Sixth Lord Fairfax, and was known thereafter as the Fairfax Proprietary. An indication of the rate of colonial American settlement can be found in the pattern of Northern Neck county formation.In 1648, Northumberland County, extending west from the Chesapeake Bay to include the current Fairfax County, was formed. As the population increased, four counties were formed by division of earlier counties: Westmoreland County was formed in 1653, Stafford County in 1664, Prince William County in 1731, and Fairfax County was formed in 1742. In 1757, Loudoun County was formed from Fairfax. From that year until 1797, all land west of Difficult Run in the current Fairfax County was part of Cameron Parish, Loudoun County. The frequency of land transfer is a measure of settlement. Colonial land transfers were of these types: patent from the king of England, 1651-1690; grant from the Northern Neck proprietor, 1690-1786; grant from the Commonwealth of Virginia. The first land grant in Great Falls, dated Feb. 2, 1709, to Daniel McCarty, was 2,993 acres, then in Stafford County. Today that land lies in Fairfax and Loudoun Counties. The Fairfax County portion is bounded on the west side by the Loudoun County line, extending east from that line along Beach Mill Road to Utterback Store Road, with the Potomac River for a northern boundary. Grants over the next 134 years added slowly to the Great Falls population, with a total of 23 grantees and the unknown number of family members, slaves, indentured servants and tenants on their grants. Land grants became fragmented by sales of small tracts, each sale increasing the population by the addition of the owner or his overseer and the workers or tenants. On Dec. 16, 1790, the town of Matildaville, in Great Falls Park, was chartered. The town was named for the wife of ‘Light-Horse’ Harry Lee, who invested in its future. It was laid out on 40 acres of land, in half-acre lots. Matildaville was a support facility for the Potowmack Canal, composed of the Potomac River from Cumberland, Md., to Alexandria, with five skirting canals, one of them in Great Falls Park. In 1798, when Matildaville was retro-ceded from Loudoun to Fairfax County, it was said to be the most flourishing town in the county, containing such buildings as the Round Top House, used as a hotel, the Wyley House and the Yellow House. The locations of these houses are unknown. A Matildaville Post Office opened in 1828 and closed in 1830. All of the 80 lots were not sold. When the use of the canal ended in 1830, the town declined. The Virginia Legislature disestablished it in 1839. 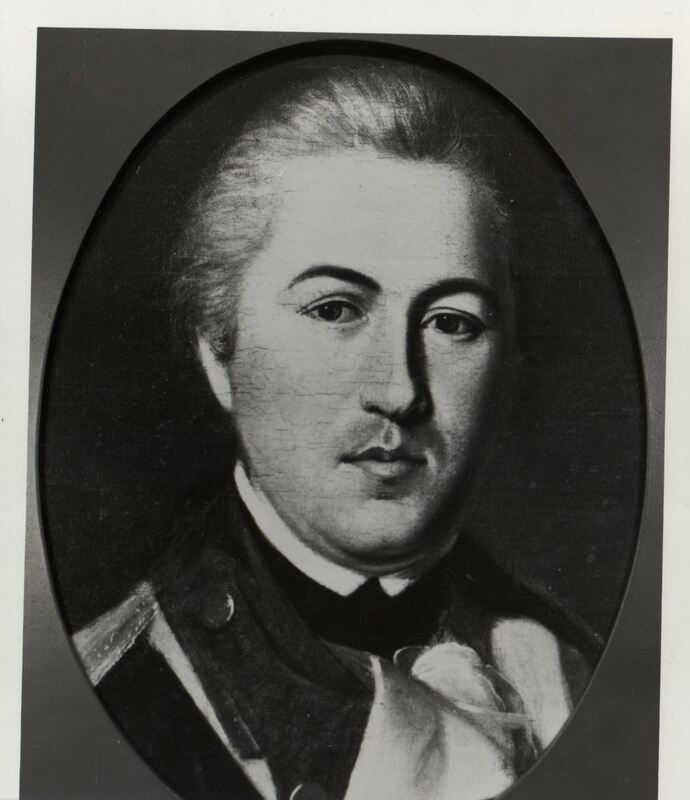 Lighthorse Harry Lee, developer and founder of the planned town of Matildaville, which is now located in Great Falls Park, Va. In the 1800s, a town and three villages, destined to become parts of the current Great Falls Community, were settled. Dranesville was chartered as a town, on 30 acres of land, in 1840. The town had: a post office from 1822 to 1907; a church, five taverns, two doctors, three blacksmiths and several stores. For a more complete history, see ‘Dunbarton,’ by Charles P. Poland. Colvin Run had a post office from 1878 to 1907. It had a doctor, the Colvin Run Mill, several blacksmith shops and a school. Springvale was a village at Georgetown Pike and Springvale Road. It had a post office from 1844 to 1907. There were several stores, and, for two years, the Fairfax County School Board records show a school in Springvale. Forestville was a village at Georgetown Pike and Walker Road. Forestville had two churches, a grist mill and sawmill, a store and a school. The name appeared on a local map in the 1800s; its source is not known. Forestville was served by the first Great Falls Post Office from 1878 to 1917. Our post office could not bear the village name since a Forestville Post Office existed in Shenandoah County. Front view of the former M.D. Fitzgerald's Store at the intersection of Walker Road and Colvin Run Road in Great Falls. Signs read "Fitzgerald's Store/ Nova Wood Heat" and "Hall's Hardy Plants" (that sign is upside down). 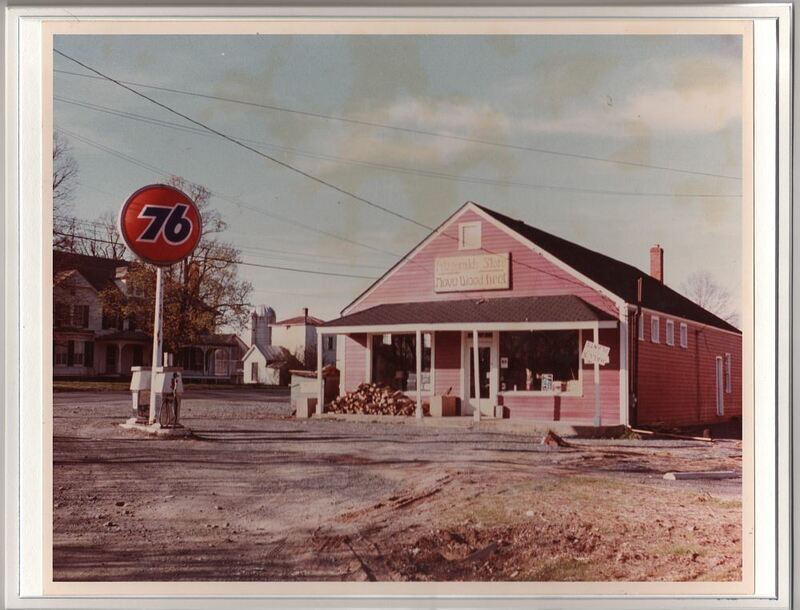 A gas sign reads "76," and there are two gas pumps in front. The structure was originally called Fitzgerald's Store, then Nova Wood Heat, then Matilda's (a flower shop), etc., at different times. It has been owned by Sisson Landscapes since 2011. Photo taken by Naomi Whetzel in April 1979. When the community fire department was formed in 1942, it was natural to name it ‘Forestville,’ since it was sited in that village. In the June, 1945, fire department meeting, a member proposed that the department change its name to Great Falls and encourage other Forestville organizations to follow suit, so that the community and the desired post office could bear the same name. No action was taken. 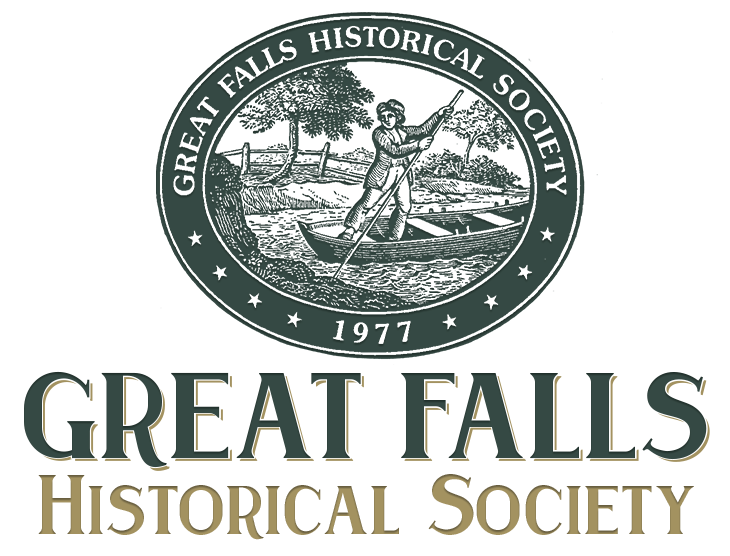 In November 1955, the department name was changed to Great Falls. On November 15, 1959, the second Great Falls Post Office opened in the Forestville School House, which is preserved on the Grange grounds. The new post office provided service to Dranesville, Colvin Run, Springvale and Forestville, merging these mini-communities into the Great Falls Community.